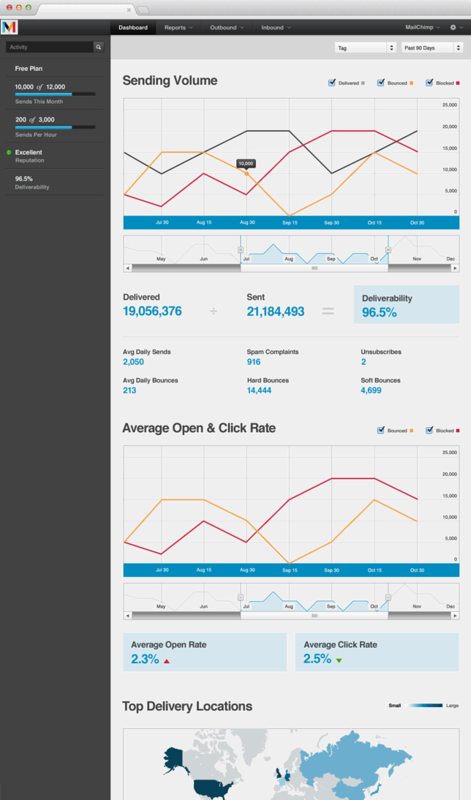 Integrate, deliver, track, and analyze with Mandrill, an email infrastructure service from MailChimp. Mandrill is a scalable, reliable, and secure email infrastructure service that’s already trusted by more than 375,000 customers. It’s easy to set up and integrate with existing apps. And it’s really fast, too. With servers all over the world, Mandrill can deliver your email in milliseconds. Use Mandrill to send automated one-to-one email like password resets and welcome messages, as well as marketing emails and customized newsletters. Mandrill is quick to set up, easy to use, and ridiculously stable. We made it for developers, who love documentation, integrations, high delivery rates, webhooks, and analytics. If you’re not comfortable with code and APIs, we recommend finding someone who is before getting started. Get started with Mandrill today. This post is sponsored via Syndicate.